Welcome to the KBARA Website. 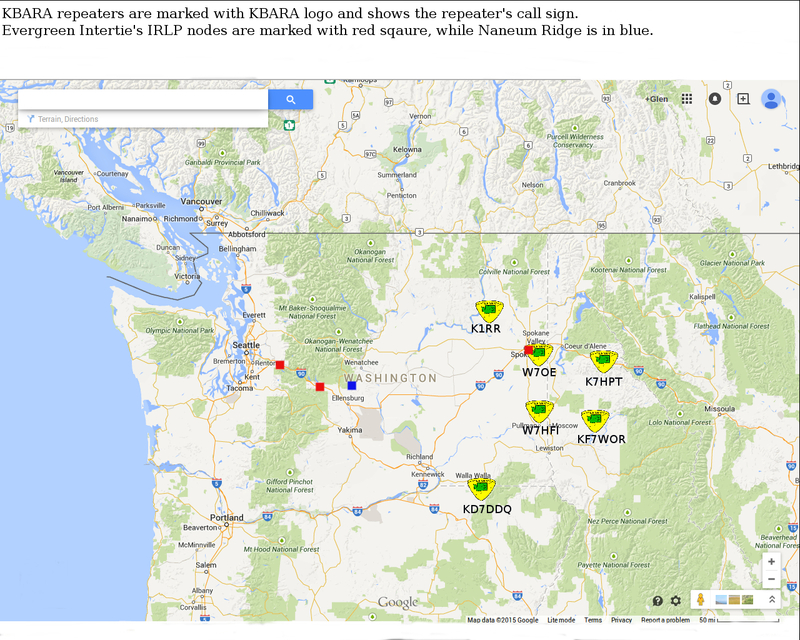 Welcome the Washington State Emergency Regional Net to the KBARA system. Net is held on Monday evening at 6:30 PT. KBARA (KB7ARA) is a regional amateur radio club for the inland Pacific Northwest region of the United States. KBARA provides assistance and support to owners of member repeaters and links. KBARA itself does not own repeaters or links, rather it provides financial, technical, maintenance and even emotional support to the owners of the repeaters to make their ownership experience easier, and encourage them to keep them up and running. KBARA also helps all amateur radio operators understand and use the linked repeater system for the benefit of all. The primary purpose of the KBARA repeaters is to provide a means for emergency communications within the Pacific Northwest, and secondarily for routine radio communication. Most KBARA member repeaters are audio linked in such a way that when you speak on the repeater near you, your transmission is not only heard on your local repeater, but is heard on all of the other repeaters as well. This makes possible a single system of amateur communications coverage, extending the limited range provided by any single repeater operation. Most KBARA FM repeaters operate in the VHF bands and are linked together using UHF radios. It covers an area from northeastern Washington to northeastern Oregon, and from western Montana to central Washington. As of July 2013, the East-West Evergreen Intertie RF link has been abandoned. Instead, a full time IRLP link has been installed. This allows improved audio and less dependency on RF links that had to be repaired almost every winter. As an added advantage, any IRLP linked repeater in the world can join our system by simply connecting to IRLP reflector 9075. Invite your ham friends elsewhere to connect to IRLP reflector 9075 anytime. Thanks to Dave, KL7M for the use of his IRLP reflector.